March is Women’s History Month. The DeKalb Chamber of Commerce will be recognizing women in DeKalb who have made a significant contribution in their respective industries and in our community. 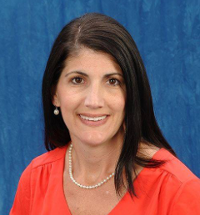 This week we are highlighting two women making a difference in the City of Tucker: Tara Burke of Tara Burke Agency, Farmers Insurance and Ann Rosenthal of Tucker-Northlake CID. Please join us all month long as we celebrate the Women who help move DeKalb Forward. As a new member of the Chamber, Tara joined us for our Day of Appreciation, a day where we visited all the DeKalb County Police precincts and served the police officers breakfast. Since then, Tara has been serving breakfast once a month to the Tucker, Brookhaven and Chamblee police departments. “When I decided to put my agency in Tucker, I wanted to be involved in the community as much as possible. I am so thankful to the police officers and the police department staff for the risk they take to keep us safe,” said Tara. What is your favorite place in DeKalb County? I have two favorite places in DeKalb County. First is the Tucker-Reid Library. I drive around so much, so I enjoy getting Audio Books from the library to pass the driving time. My second favorite place is my home in DeKalb County. Life is so busy, and I really cherish the time at home with my family. What’s notable about your role/contribution to your company? I am a very proud mother of 3 children. I wanted to have my own insurance agency to have the flexibility to put my children first. Owning my own agency allows me to be flexible for my family as well as my clients. I carve out time for my children and then wrap up at the end of my day to touch base with any client needs. It is hard to be a working mom, so I am thankful for the opportunity that I have. Tara has a passion for education people about their insurance coverage. If you’d like to get in touch with Tara, please feel free to email or visit her website. 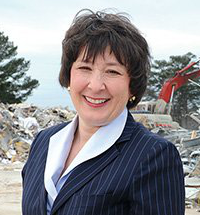 We are proud to have a community partner like Ann Rosenthal in our efforts to attract, promote and sustain economic development in DeKalb County. Right here in Tucker-Northlake where I live, work, and play. I have several but “Be the person your dog thinks you are” is what I strive for most. I’ve had the wonderful opportunity of being part of something that started out as an idea and then weaving that idea into the Tucker-Northlake CID. As the CID has grown over the last four years it’s been exciting to see the projects we’ve undertaken and what we’ve accomplished. Creating the master plan, which is our road map in how we revitalize and transform the Tucker and Northlake areas was the first big win for the CID. It’s exciting to see parts of the plan come to fruition with more on the horizon. Within 6 months of the CID’s formation, we began taking care of the landscaping at I-285 and Lavista Road, followed by the I-285 and Northlake Parkway interchange. Now we are responsible for not only these two interchanges but also Lavista Road through the Northlake business district, Main Street in downtown Tucker as well as other areas within Northlake and Tucker. New development projects are under way and we know this will only increase as the CID continues its work in transforming Tucker and Northlake. That’s just a brief snapshot of what we’ve accomplished. Progress does not happen overnight but to be leading the way and seeing the positive changes taking place is incredibly rewarding, and this is only the beginning of what’s to come. We are just working to make our little corner of the world a little better than the way we found it and there is no greater reward than that. For more information on Ann and Tucker-Northlake CID, click here.